BDI recognizes Pollo Tropical and Prosthetic Hope International for creating opportunities for people with disabilities to work and achieve self-sufficiency at its annual Breakfast with Champions. ATLANTA, March 28, 2017 /3BL Media/ – On March 28, 2017, Bobby Dodd Institute (BDI) honored Pollo Tropical® restaurants and Prosthetic Hope International at its annual Breakfast with Champions for breaking down barriers to employment and community access for people with disabilities. The event, sponsored by Cox Enterprises, highlights Atlanta-area businesses that partner with BDI to hire people with disabilities, the contributions of people with disabilities in the workplace, and the people who create opportunities for people with disabilities to achieve independence and personal success. Pollo Tropical received BDI’s Employer of the Year Award. The Caribbean-inspired restaurant chain began working with BDI in early 2016 to identify job candidates as it expanded its presence in Atlanta. Restaurant managers were impressed with the employees hired through BDI. Today former BDI job candidates work in Pollo Tropical restaurants across the metro area. The Circle of Excellence Award honors organizations and individuals who have made significant contributions to the lives of people with disabilities. This year’s recipient, Prosthetic Hope International (PHI), provides prosthetics, orthotics, and ongoing care to people who would be otherwise unable to afford them. For the people PHI serves, their new prosthetic limb or orthotic brace means greater independence, mobility, and the ability to care for themselves. PHI provides services to low-income patients in both Atlanta and the Central American country of Belize. BDI also recognized Annette Andrews as its Employee of the Year. A quiet, hardworking, and humble woman, Annette has overcome unemployment and homelessness to become one of BDI’s most reliable and trusted agents in its contract with the Atlanta VA’s traveling call center. Today, Atlanta-area veterans depend upon Annette to arrange transportation to doctors’ appointments. Annette is one of more than 200 people with disabilities working in BDI’s social enterprises, which sustain jobs for people with barriers to employment, generating revenue to support the organization’s mission. BDI’s mission-based social enterprises also offer high-quality business services including facilities maintenance, staffing services, logistics and warehousing, call center operations, packaging and fulfillment, and mailroom operations. BDI is a workforce development innovation leader that equips people with in-demand skills and connects employers to qualified, dedicated talent. Last year, BDI provided career counseling, job training, employment connections, and other vocational support to more than 1,350 people with disabilities and employment barriers. 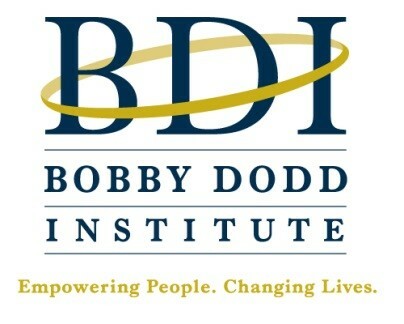 For more information about BDI, please contact Lisa Kennedy at 678-365-2260 or lisa.kennedy@bobbydodd.org. Bobby Dodd Institute is a nonprofit organization with the mission to empower people with disabilities and disadvantages to maximize their potential by securing economic self-sufficiency, independence, and integration into society. BDI offers job training programs at its facilities in Atlanta and Jonesboro, GA, and it operates social enterprises throughout Georgia and in Alabama and Tennessee. Last year, BDI served more than 1,350 people with job training and employment opportunities; connected 246 people with jobs; and employed 211 people with disabilities in its mission-based social enterprises, ranging from call centers and administrative services to janitorial and grounds maintenance services. For more information, visit www.bobbydodd.org.